The City of Gainesville called for a comprehensive Master Plan to revitalize the neighborhood of Univer-sity Heights, an important neighborhood adjacent to the University of Florida that had suffered years of decline. The neighborhood is built on an interconnected network of blocks and streets. Many historic bungalows and apartment buildings remain, yet the urban fabric had slowly been eroding and too much attention had been dedicated solely to cars. 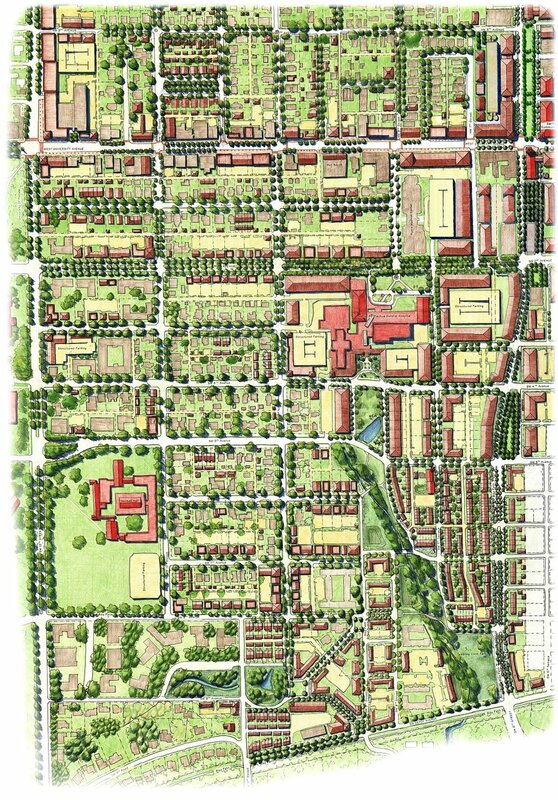 The Master Plan for University Heights calls for the incremental reconstruction of the area over time. New projects and improvements should build upon the best of the neighborhood’s traditional fabric and reinstitute a pedestrian-friendly place conducive to a college environment. The transportation planning firm Glatting Jackson assisted Dover-Kohl in the creation of the Master Plan.